Kathy Groob is the founder of ElectWomen, part of a movement dedicated to providing resources and inspiration to elect more women to public office. ElectWomen is the first, independent, comprehensive resource site that offers women running for office a place to obtain resources, information on issues, books and advice; connecting women who want to run for office with women who have actually run. Kathy is the author of Pink Politics, The Woman’s Practical Guide to Winning Elections and is a 30-year+ businesswoman and entrepreneur and has served as an elected city official and ran for the Kentucky Senate in 2008. Her Senate campaign inspired hundreds of women to become involved and she created a bi-partisan network of campaign volunteers and supporters. She serves as a political consultant and co-owner of November Strategies and is a co-founder of Emerge Kentucky and is a leader in women’s organizations throughout her region and has been a mentor and advocate for women in the workplace throughout her career. Kathy Groob brings an enlightened perspective on issues important to improving women’s status in the political arena and in the workplace. She shares stories and insights on candidate recruitment, campaign successes and failures, and barriers to women running for office. Kathy provides a broad perspective of regions and states where women rule the day and continue to field strong candidates who are winning elections at accelerated rates. Her motivational and upbeat style both engages and inspires audiences to become involved in the mission to elect more women! 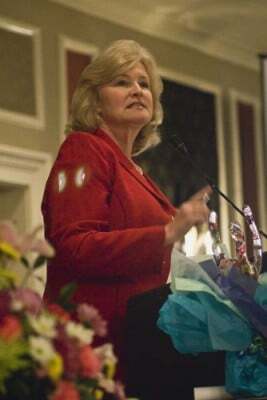 Kathy’s speaking engagements have included Kentucky’s Women’s Network, EWomen Network, Commercial Real Estate Women, Hemmer Leadership Institute, Cincinnati 100 Wise Women, NKY Chamber of Commerce, Southeastern Institute for Women in Politics, Metro Louisville Political Women’s Caucus, Northern Kentucky Democratic Party, Grant County Democratic Party, Kentucky Democratic Woman’s Club State Convention, Bloomington Democratic Women’s Political Caucus, Campaigns & Elections Politics Magazine Campaign Forum, Women Lawyers Climbing the Ladder to Success, The National Federation for Democratic Women, The Kentucky County Judge Executive Association, Women Lawyers Association of Louisville, The Tennessee Federation for Democratic Women, Louisville Business & Professional Women, Women Lawyers Association of Jefferson County, The Young Democrats of America Convention, Marin CA Women Political Action Committee, Emerge California, Emerge Wisconsin, Emerge Kentucky, Coshocton Ohio Business & Professional Women’s Club, Minnesota’s Women Winning, The National Federation of Democratic Women Midwest Region, The Florida Democratic Women’s Club, The West Virginia Federation of Democratic Women, Women in Government Relations and many others. Women, like stars, are guiding beacons, radiating positive energy upon all who gaze upon their light. Research confirms that the women’s role in politics brings a different perspective, focusing attention on a broader set of issues and building alliances with other women. Research confirms that Republican and Democratic women are more likely than their male counterparts to initiate and fight for bills that champion social justice, protect the environment, advocate for families and promote nonviolent conflict resolution. Kathy uses her experiences as a candidate and combines them with humor and her pragmatic approach to show women that they too can take the step to run for public office. Kathy shares stores of the dozens of women leaders she has met and interviewed, lessons in leadership and what it takes to inspire others to believe in you as a candidate and to get the most out of your campaign team. To invite Kathy to speak at your next event or fundraiser, contact Kathy at [email protected].